Be ready with all the information to be entered. 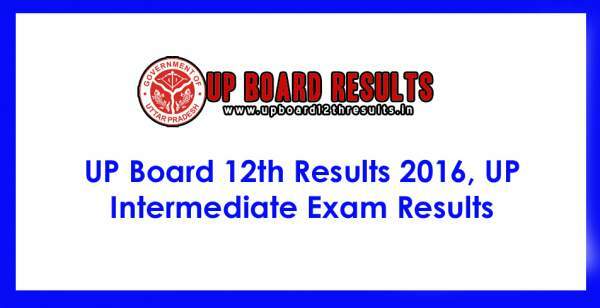 The UP Board 12th Intermediate Results 2016 will be soon published on its official websites on May 15, today. The Uttar Pradesh Madhyamik Shiksha Parishad (UPMSP) will announce the same very soon, maybe at 12:30 pm. The UPMSP conducted the class 12 exams from February 18 to March 21 this year in which more than 30 lakh students appeared. Since then, the candidates are eagerly waiting for their UP Board intermediate results 2016 to be declared as soon as possible. Those who want to check their result, they should keep roll number, registration number, and date of birth info with you while checking. Just after the declaration of the results, you will be able to check it on the official web portal of the board upresults.nic.in and upmsp.nic.in. We wish all the students all the very best of luck. The Uttar Pradesh Madhyamik Shiksha Parishad is widely known as UP Board. It came into existence in the year 1921 which is headquartered at Allahabad. The primary motive for its foundation was to promote and develop secondary education in the state. The first official examination took place in 1923. The primary objectives of the board are to make the syllabus, rules, specify a course of instructions and textbooks, correspondence courses, recognition of schools in the state itself. As of now, there are about 9121 secondary schools to which the board has given its recognition. Stay tuned to The Reporter Times for latest education news and updates. Share it with your friends to let them know.